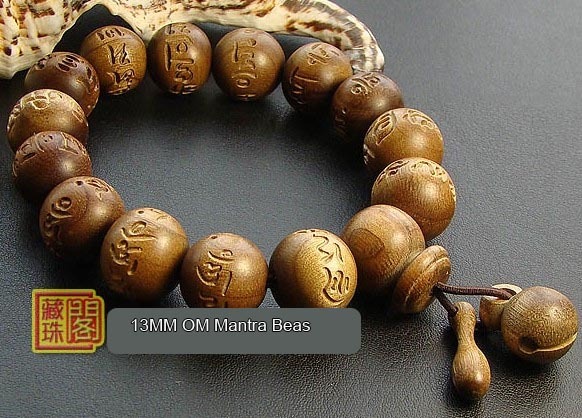 Tibetan Natural OM Mantra Camphorwood Beads Bracelet. 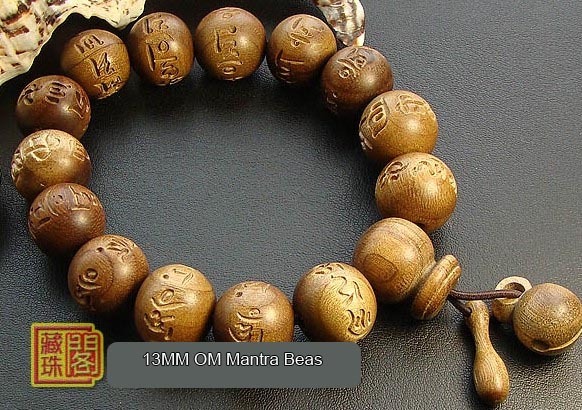 It was handmade by the Tibetan Craftsmen from genuine Camphorwood beads. The beads were encripted with om mantra words. Bead size: 13mm.